Can guinea pigs go out in the snow? In many countries, snow is a prevalent issue during winter time. This can range from short snow showers resulting an in an inch or two of snow to several feet of snow which can majorly impact people in a big way. it is not good for them to do this. Guinea pigs do not do well with the wet fur that they get when they go out in the snow. It is also too cold for them. They are best kept in a dry place and undercover at the very minimum if it snows and away from the cold stuff. If they get into the snow they will get damp and guinea pigs are difficult to dry and have to rely on drying naturally. If their fur gets wet there is nothing to protect their skin from the cold and their health will be at risk. So keep them out of the snow and indoors somewhere. if they can’t be in your home, which is the best place for them to be, then make sure you have an outhouse which keeps them out of the drafty cold and in the dry. They will benefit so much more from being in these environments. Can guinea pigs eat in the dark? Can guinea pigs eat in the dark? Guinea pigs have amazing appetites. They eat all kinds of things and never seem to have appetites that wain. Whenever I feed my piggies, it is always welcome and overfeeding is always something I need to watch out for. I know that they will eat during the daytime as that is when they are usually fed. But what about at night time? Are they able to eat in at night, and with that in the dark as well? Yes, they can eat in the dark without a problem. Guinea pigs are very good at seeing in the dark. They can move around without an issue and can determine objects in front of them. This is an ability that they have learned over many many years so help them move around at night and avoid the attention of predators who otherwise might attack them during the daylight hours. They can even run in the dark and avoid objects very easily. They are not afraid and treat it like the daytime. 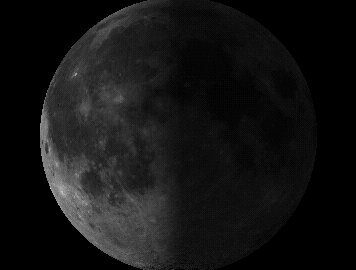 They don’t distinguish between night and day as they will sleep when they need to in short bursts. Do guinea pigs go into hibernation in winter? Guinea pigs enjoy a certain temperature that they encounter. They really like living in temperatures between 65-75 degrees Fahrenheit. This is the ideal temperature range for piggies who are originally from warm South Amercian Andean countries such as Argentina and Chile. They are used to living in warm to cool climates high up the Andean mountains where the weather is variable depending on how high up they go. So if you have a guinea pig that is exposed temperatures below 65 degrees Fahrenheit then this becomes not so comfortable for them. Guinea pigs the great survivors of the Andes mountains. They have to find ways of dealing with it to enable them to survive. In fact, if the temperatures reach around freezing then a guinea pig can seize up under these circumstances. They can appear that they have maybe dead if they haven’t covered themselves in hay. This is especially the case if it gets very cold below 60 degrees Fahrenheit. If it gets the type of temperature where you wouldn’t need to wear a coat then this is usually a good guide as to whether the weather is too cold for a guinea pig. So it is important to keep them warm and one way to do this is to give them plenty of hay and bedding to try and keep them warm. Hay will also enable them to chew and keep their teeth ground down over the winter time. So if they have plentiful hay, they can snuggle themselves in it and it appears like they are going into some sort of hibernation. Guinea pigs do not actually go into hibernation like other animals do. What happens in these circumstances is that their bodies shut down to conserve energy and retain heat. They may look lifeless but they are still alive. It can be quite daunting to see a guinea pig like this though. This happens more so with guinea pigs that are kept on their own. Keeping guinea pigs together is important in extreme temperatures. Guinea pigs that are kept together are more likely to snuggle together and keep each other warm from their bodies. This is very effective for them and is potentially life-saving if they live outside of a human house. They provide much needed social stimulation for each other and as social creatures, they provide much-needed company. You can get some other ideas for keeping your guinea pig warm during cold seasons in this post. What if your guinea pig is not themselves during cold temperatures? If you see that your guinea pig is not themselves over a prolonged period then it would be worth contacting your local veterinary surgeon to get them checked out. It is always worth doing this if you have any concerns about them. If it gets very cold then it is easy for a guinea pig to contract hypothermia and so always keep a close watch on your guinea pig to make sure that they are okay. A good test is to how they respond to their favorite treat bring put out for them. If you don’t get the usual reaction then something will probably be wrong and it is time to get them checked out. Why Do Guinea Pigs Growl? Guinea pigs are social creatures and they communicate in a variety of different ways. This is mainly through their movements such as the way they smell each other, the way they look at each other but also through their vocalizations. The most familiar vocalizations that you will hear from a guinea pig are that of a squeak which they usually use for general communication or a purr which is a sound of contentment. A happy guinea pig will usually communicate vocally through these methods. However, there just occasionally one of the ways that a guinea pig will communicate is through growling? So why do guinea pigs growl? It is not something you come across that often with piggies. 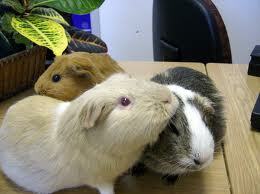 They are quite supple and friendly creatures and you are more likely to hear a guinea pig squeak rather than growl. But there may be occasions when you do come across this vocalization and it can be quite startling. Guinea pigs growl when they are scared and frightened. 2. They growl when they feel trapped and cornered feeling no way out of a situation. 3. Guinea pigs will growl when they are about to attack. When they are about to display fierce behavior, they will sometimes vocalize a growl. These are the types of situation that you may hear this kind of sound, and if they make a sound like a growl and you are aren’t sure what it is, then observe their behavior. If it is any of the three behaviors then it is likely they have growled. What does a guinea pig growl sound like? If you are not sure what a guinea pig growl sounds like, then it is a very low, throaty and gruff sounding vocalization. Quite unlike any other vocalisation that they make. So if you do hear something like this, don’t be scared. However, be aware that they won’t be feeling great if you see them growling. Can Guinea Pigs Eat Each Other? So can Guinea Pigs Eat Each Other? Not a dumb a question as it sounds! A lot of animals will resort if absolutely desperate to eat the corpses of their own. But will guinea pigs eat each other if they were absolutely desperate for food? The longer answer is they are herbivores so do not eat meat at all. They will nibble on it but will quickly turn away from it. So there is no danger of cannibalism as far as guinea pigs are concerned. However, they will fight each other and there is often conflict within herds. In these situations, guinea pigs have been known to bite each other as an attack. They have also been known to chew on each other’s hair, merely out of interest and because they are always looking to chew on something. For more information on animals and cannibalism, check out this article.